This picture is of a Porsche 919 Hybrid LMP1 car. It was taken at this year’s 24 Hours of Le Mans which saw Porsche win for the second straight year after an exciting finish with plenty of drama. The Ford GT recently won its class at the 24 Hours of Le Mans, fittingly besting Ferrari. This happened 50 years after the Ford GT40 Mark II driven by Bruce McLaren and Chris Amon managed a victory in the legendary 24 hour race. The win was part of a 1-2-3 podium sweep. In doing so Ford had beaten Ferrari which was no easy task at the time. Because of this the Ford GT40 is know as the “Ferrari Killer”. To commemorate the 1966 victory the American automaker is releasing the 2017 Ford GT ’66 Heritage Edition. This year was the last time that Nissan powered prototypes will compete in the LMP2 class of the 24 Hours of Le Mans. Engines provided by the Japanese automaker have ruled the class in recent years and this year was no different. A car with a Nissan engine had a good chance of victory as 87 percent of the field in the class were powered by them. In the past six years a Nissan powered prototype has won the LMP2 class at Le Mans five times. In this year’s 24 hour endurance race twelve out of the top thirteen cars in the class had a powertrain from the company. 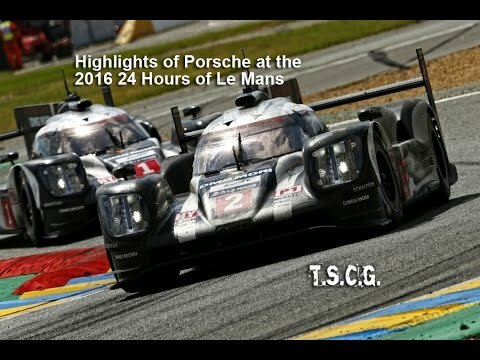 This year’s 24 Hours of Le Mans featured one of the most exciting finishes in recent history. However, if you were watching it on Fox Sports 1 you were probably caught off guard during the last hour which included the exciting finish. Coverage was switched to Fox Sports 2 which was a last minute programming change. This was a change that was not well communicated and left many wondering how to watch the last hour of the race.